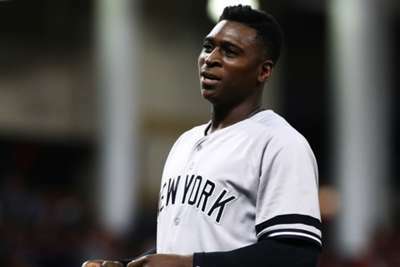 The New York Yankees will open the 2019 season without Didi Gregorius after it was confirmed he requires Tommy John surgery. Manager Aaron Boone announced on Friday the infielder will undergo an operation after injuring his elbow on a throw at Fenway Park during Game 1 of the AL Division Series against the Boston Red Sox. While position players tend to return from the ligament-replacement surgery faster than pitchers, the expectation is Gregorius will be sidelined for at least a part of next season. "My expectation is [Didi] will be with us for much of the season, how much of that depends on what unfolds in the coming weeks," Boone told reporters at an end-of-season news conference. Gregorius started 130 games at shortstop during the regular season, hitting .268/.335/.494 with 27 home runs and 86 RBIs. The 28-year-old managed four hits in 14 trips to the plate in the series with the Red Sox, who prevailed in four games to end the Yankees' title hopes for this year. At the same news conference, the Yankees also confirmed pitcher CC Sabathia had surgery on his troublesome right knee. Sabathia is a free agent this offseason and made it clear on Monday he wants to keep on pitching. The 38-year-old went 9-7 with a 3.65 ERA this season, but he needed extra rest to deal with his knee issue.